There is no shortage of sites available to share photos online. In fact, 350 million photos are uploaded daily on Facebook alone. In contrast, 1x is one of the most exclusive photography portals on the Internet. A team of ten professional curators selects the photos displayed in the site’s online galleries. Only around three percent of the images submitted make the cut. Given the high standards, photographs in 1x’s online galleries are akin to what you might find at a professional art exhibit. At the end of each year, 1x selects the best photos from each genre for inclusion in their yearbook. The collection features photos in color as well as in black and white. “Memento” contains 244 full size photographs that are as diverse as they are stunning. From nature landscapes to highly stylized modern art, the collection spans multiple genres yet centers around the same theme. You can view samples of the images, such as “Selfie in the Cinematheque” by Herbert A. Franke, “Sun Beam III” by Marek Biegalski, and “Behind the corner” by Monique, on the 1x website. More than a coffee table art book, the yearbook features high-quality feature stochastic printing and superior MultiArt Glossy 170g paper. 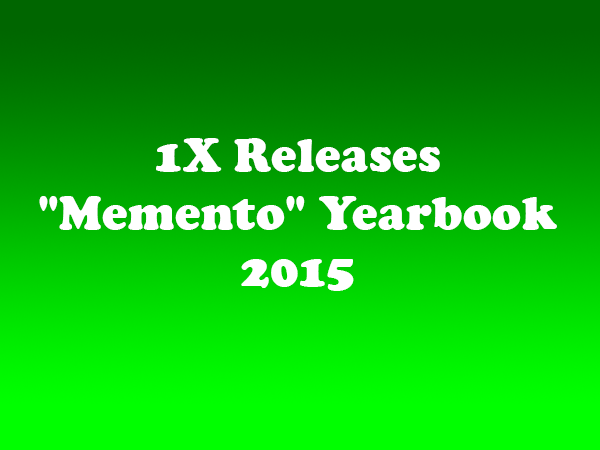 “Memento” is an exclusive limited edition of only 499 copies. The book costs $199 and is currently sold out. What is the Difference Between the Canon 1 DX Mark II & Nikon D5?